Berlin, Germany, – As the urgency to take bold climate action grows, new analysis by the International Renewable Energy Agency (IRENA) finds that scaling-up renewable energy combined with electrification could deliver more than three quarters of the energy-related emission reductions needed to meet global climate goals. 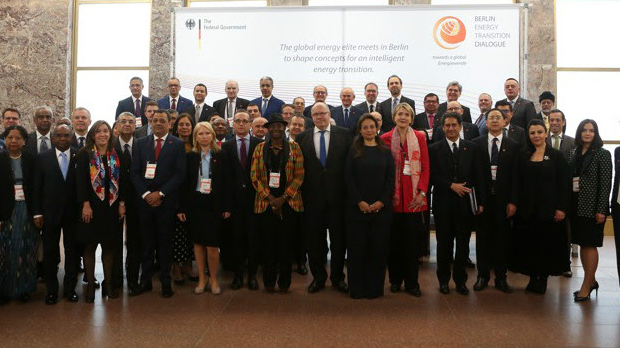 According to the latest edition of IRENA’s Global Energy Transformation: A Roadmap to 2050, launched today at the Berlin Energy Transition Dialogue, pathways to meet 86 per cent of global power demand with renewable energy exist. Electricity would cover half of the global final energy mix. Global power supply would more than double over this period, with the bulk of it generated from renewable energy, mostly solar PV and wind. An accelerated energy transition in line with the Roadmap 2050 would also save the global economy up to USD 160 trillion cumulatively over the next 30 years in avoided health costs, energy subsidies and climate damages. Every dollar spent on energy transition would pay off up to seven times. The global economy would grow by 2.5 per cent in 2050. However, climate damages can lead to significant socioeconomic losses. But action is lagging, the report warns. While energy-related CO2 emissions continued to grow by over 1 per cent annually on average in the last five years, emissions would need to decline by 70 per cent below their current level by 2050 to meet global climate goals. This calls for a significant increase in national ambition and more aggressive renewable energy and climate targets. IRENA’s roadmap recommends that national policy should focus on zero-carbon long-term strategies. It also highlights the need to boost and harness systemic innovation. This includes fostering smarter energy systems through digitalisation as well as the coupling of end-use sectors, particularly heating and cooling and transport, via greater electrification, promoting decentralisation and designing flexible power grids. Visit the IRENA website to download the 2019 Global Energy Transformation: A Roadmap to 2050.
Who will absorb the LNG oversupply? RUD presents the first hoist ring that thinks independently! Copyright © 2019 Hot Topix Theme. Theme by MVP Themes, powered by Wordpress.